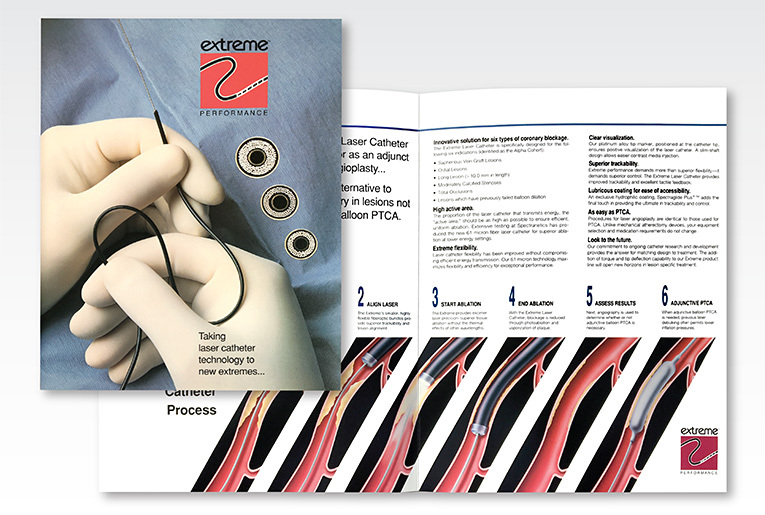 Prior to designign the brochure, we completed the main illustration — a diagram of the 6 key steps in the catheter process. The Extreme Laser Catheter works alone or as an adjunct to balloon angioplasy. It’s an alternative to bypass surgery in lesions not favorable to balloon PRCA.